Don’t Miss the Blood Moon on Monday Night! If the weather forecast holds, Monday night will be clear and cold. Perfect conditions for observing a total eclipse of the moon, although it might be a bit gusty . . . again. 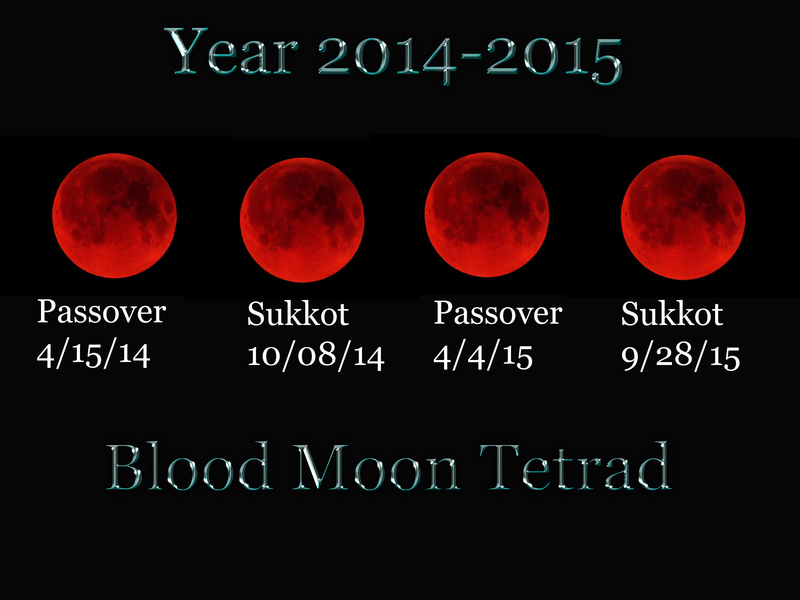 Astronomers, astrologers, and biblical scholars are beside themselves with anticipation because there will be four Blood Moons in 2014/2015. Combine that with the Grand Cardinal Cross of Jupiter, Pluto, Uranus and Mars. and the fact that the Blood Moons fall on religiously significant days . . . not to mention the first one falling on Tax Day, an evil omen to be sure . . . and you have the stage set for some serious drama. Major events in human history are often accompanied by signs in the heavens. Let’s hope that this time around the signs point to your favorite vacation destination, spiritually speaking, and not to TEOTWAWKI (The End Of The World As We Know It). Personally speaking, I have faith that mankind — with a little help from above — will find a way out of the morass of social, economic, and political crises that threaten to give the world a series of collective bad hair days. So unless you have to get up at the crack of dawn, stay up for this spectacle of nature. While you’re at it, look high in the southern sky to see a fiery Mars, which is at one of its closest approaches to Earth in many years. Look down and to the left to see golden Saturn. Look way to the west to see a dazzling Jupiter. The universe is a great place to live! This entry was posted in sky watching, What's New? and tagged blood moon, blood moon tetrad, grand cardinal cross, total lunar eclipse on April 13, 2014 by Stewart Dale Spencer.